Many skin care and beauty products contain chemicals that may be harmful to pregnancy. 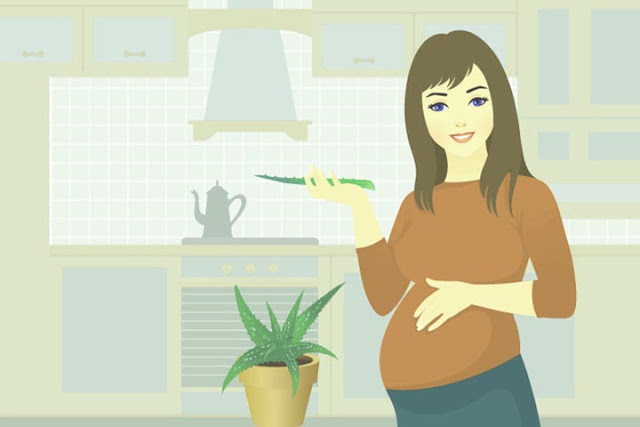 Aloe vera is a natural ingredient that can be a safe choice for treating pregnant women skin. Aloe vera contains vitamins A, C, and E, as well as amino acids. This is because the content is, aloe vera is often used to treat wounds, cure sunburned skin, and eliminate pimples. The appearance of stretch marks can interfere with appearance, even self-confidence. To help fade stretch marks, pregnant women can use aloe vera. You do this by applying the gel from the aloe gum to the stretch mark area after taking a shower. For maximum results, pregnant women can put aloe vera in the refrigerator first before applying it. In addition, using a gel from aloe vera sap on the skin can also make the skin of pregnant women appear smoother. When pregnant, the skin will tend to be more itchy. But don't worry, because pregnant women can overcome this by applying aloe vera gel or liquid aloe vera leaves, directly to the area of ​​the itchy skin. Pregnant women can also mix aloe vera gel with a favorite lotion to moisturize the skin. Moist skin will reduce the risk of pregnant women skin itching. However, if itching is accompanied by the appearance of a skin rash, it is recommended that the pregnant woman go to the doctor. Black spots (melasma) is one of the conditions commonly experienced by pregnant women. Pregnant women can overcome this by using aloe gel. According to research, aloe gel is useful for disguising black spots and makes the skin look brighter. Although classified as safe for use on the skin during pregnancy, consumption of supplements containing aloe vera or aloe vera should be avoided because they do not have scientific evidence. Likewise with aloe vera juice. Pregnant women are advised not to consume aloe juice because it can increase the risk of miscarriage.